Blood moon will grace the stargazers in America ans Asia as the moon passes over the reddish shadow of earth on October 8, 2014. For several hours there will be a total lunar eclipse as the Earth passes through between the moon and the sun. Due to the Earth’s stratosphere, the moon would reflect the reddish hue of the sunlight scattered in the atmosphere. If the weather would permit, sky would be clear enough for the people in North America, Western South America, Australia and parts of East Asia including Philippines. The eclipse is estimated to reach totality exactly just before sunrise at around 6:25 am EDT. As for the areas with cloudy skies during the blood moon eclipse, NASA would provide a livestream and would show the eclipse through their robotic telescope service that would start at 2am EDT. The eclipse will start at around 8am GMT or 4am of the US East Coast until 6:25 before sunrise. NASA will also entertain questions via live web chat before the event. They said that the agency will be ready to answer questions brought to them all night of October 8. The eclipse tonight will be the second total lunar eclipse out of four that the astronomers expect this year and next year. They call this phenomenon tetrad where the first one happened last April 15. 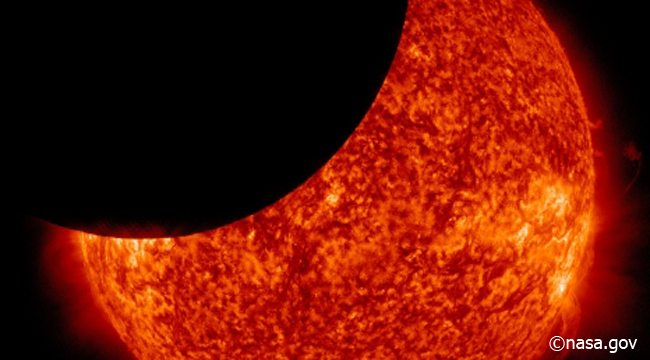 The next two eclipse will happen on April 4th and September 28th 2015. The last tetrad happened in the 2003-2004 and the nest one is predicted to happen in 2032-2033. In the 21st century, there will be 8 tetrads. The eclipse happens when our moon passes though umbra or the earth’s shadow.